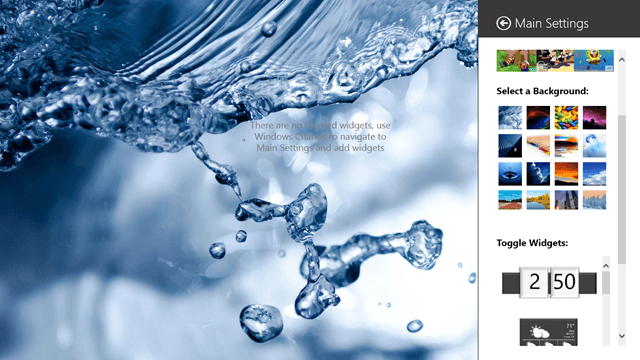 Widgets HD is a free app for Windows 8 that allows you to add a variety of assorted widgets within the app’s interface. 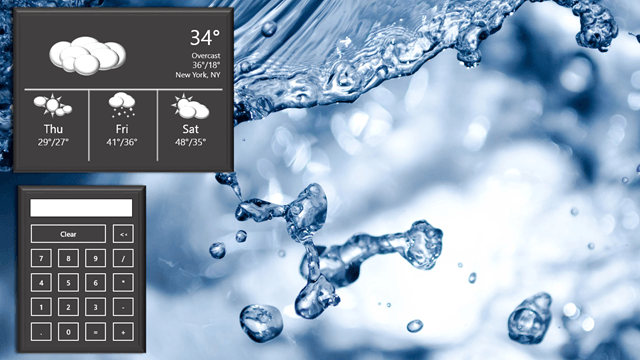 The app is pretty cool as it allows you to add/remove widgets, like: weather widget, clock widget, and a lot more. The app is customizable as well, because it allows you to easily change the background of the app, through the app’s Settings. The app provides 16 different backgrounds to choose from. So let us read more about this app and how it works! 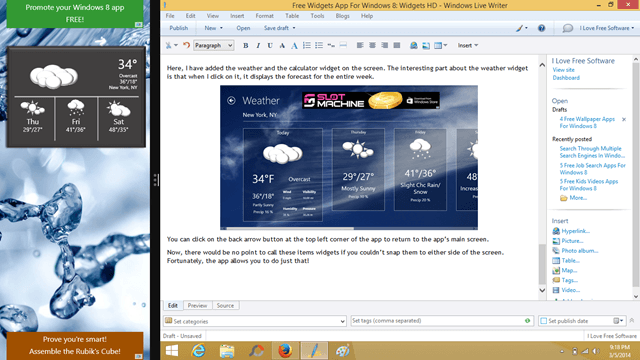 When you launch the Widgets HD app on your Windows 8 device, you will be presented with a screen which resembles the following screenshot. As you can see, currently the Widgets screen is empty. 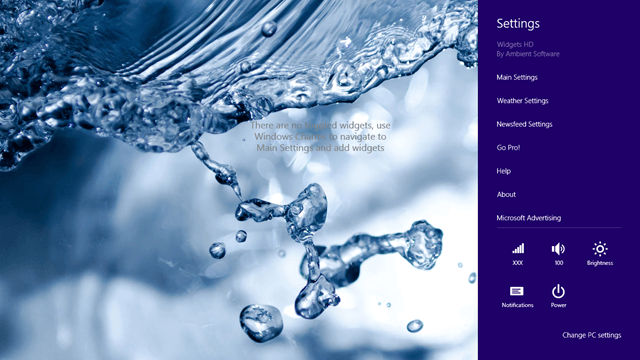 To add a widget, bring up the Settings charm of the app by using the Win+I shortcut on your device. As you can see, there are three types of settings available: Main settings, Weather Settings, and Newsfeed Settings. Click on any one of these to get started. The Main Settings of this app will allow you to change the background, and toggle the widgets on or off by clicking on them. Click on any widget to add it to the app’s screen. You can change the background by clicking on the desired background image. Here, you can choose the location whose weather information you want the app to display on your screen. There are different columns for U.S. and non U.S. locations. Simply enter the location and click on the Go button. Next time when you add a weather widget, it will display weather information about the location that you just entered here! Newsfeed Settings: Unfortunately, this option is disabled in the free version and you have to buy the pro version to use this. So we’ll not get into the details of Newsfeed Settings for now! When you have toggled the widgets in the Main Settings of the app, the app will show widgets on the app screen. 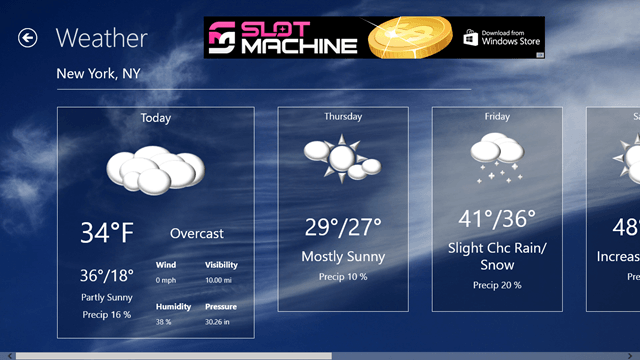 Here, I have added the weather and the calculator widget on the screen. The interesting part about the weather widget is that when I click on it, it displays the weather forecast for the entire week. You can click on the back arrow button at the top left corner of the app to return to the app’s main screen. 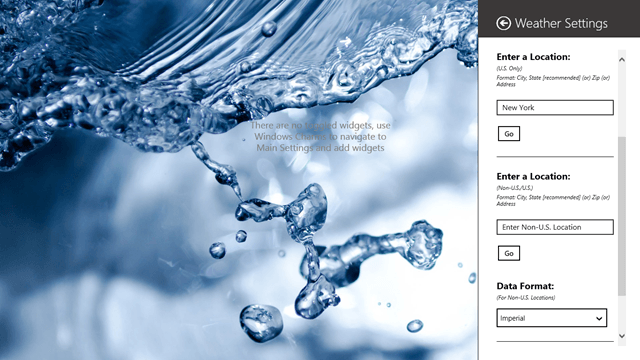 Now, there would be no point to call these items widgets if you couldn’t snap them to either side of the screen. Fortunately, the app allows you to do just that! You can now see the information at a glance at either side of the screen. In many ways, this app actually brings back the functionality of the sidebar in Windows Vista and the gadgets that we used to add on our screens in Windows 7! 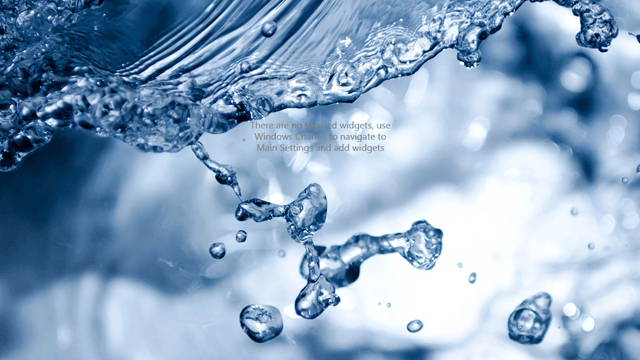 Widgets HD is a beautifully designed app that deserves a recognition. The app allows you to snap the widgets to the side of the screen as well, and this is a much welcomed feature. Overall, the beauty and the functionality of this app makes it well worthy of a rating of 4.5 out of 5!